Many people have written in on both sides of the issue concerning the Deferred Action for Childhood Arrivals program, or DACA. Some totally disagree with me and cite that the law is the law. But there is a historical problem with the rule of law – there are times when the rule of law is unjust. For example, if someone tried to kill you and you defended yourself and killed them, are you a murderer because you killed someone by the strict interpretation of the law? In this case, I would draw the line at family ties. If the child grew up here and has family ties to Americans such as a wife or children, that to me would be the equitable line. Yes, someone who sent their child across the boarder to beat the deadline a few years ago would obviously not qualify. So the line I would draw is family ties and length of stay. 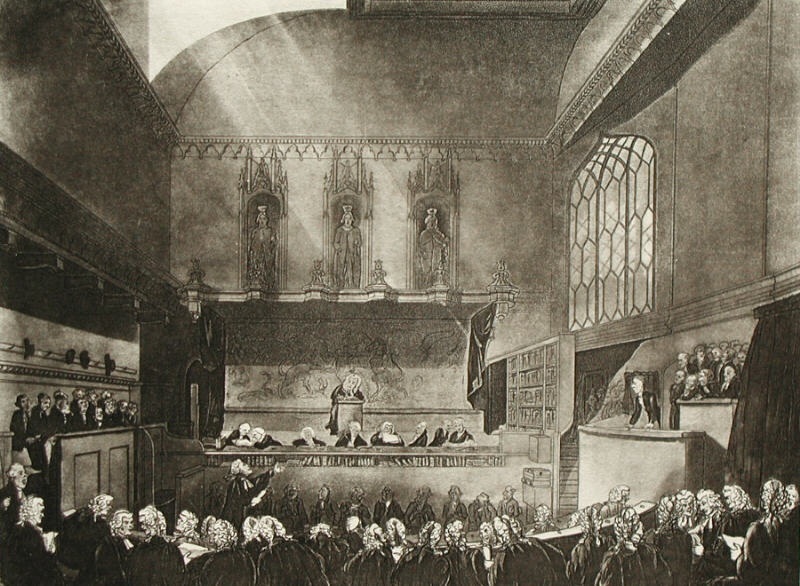 Historically, there were two courts in England – the King’s Bench and Chancery. In modern practice, the biggest mistake the Founding Fathers made in the United States was to merge the two into the same court. That is what has given judges unbridled discretion to tear up the constitution any time they desire relying on the ancient powers of Chancery rather than the rule of law. There is a clear distinction between someone who was brought here as a small child, grew up here, married, and had children with an American and a child sent across the border on their own. The deportation of the former would be a injustice to the child who grew up here and is unfamiliar with the customs of his parent’s origins. Additionally, if they had their own children here who are Americans, then deporting them would be depriving their children of a parent. Government cannot come before God and family – that is Communism. The most important distinction between law (King’s Bench) and equity, which was administered by the Court of Chancery, is the set of remedies each offers. The most common civil remedy a court of law can award is monetary damages as well as criminal prosecutions. Equity, however, enters injunctions or decrees directing someone either to act or to forbid them from acting. 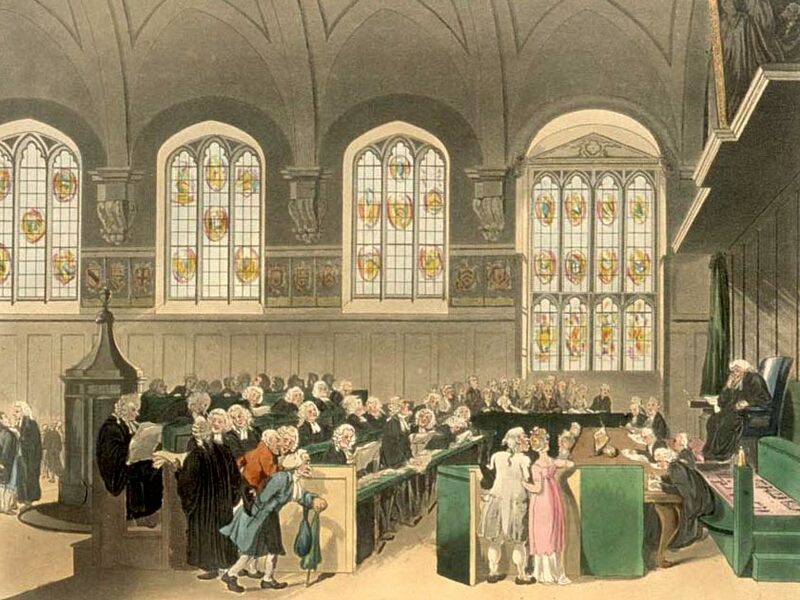 By the 14th century, the English Court of Chancery was affording remedies where the strict procedures of the common law worked injustice or could not provide a remedy to a deserving petitioner. The writ of Habeas Corpus was equity – not law. The judges or Chancellors presiding in Chancery were often theological in background yet were also knowledgeable of Roman law and canon law. Over time, a body of rules emerged but they varied from Chancellor to Chancellor and they tended to become more fixed only during the 17th century. The became the system of precedent much like its common-law cousin. The Court of Chancery assumed a vital role in many areas from false or unjust imprisonment to establishing a framework that the common law could not accommodate. This role gave rise to the basic distinction between legal and equitable interests. However, when one hands discretion to any judge, the net result is always, and without exception, the progression of corruption. By the 19th century, the Court of Chancery was hopelessly corrupt and as such, so was the United States Federal courts because the Founding Fathers merely this discretion with the rule of law and as such there can be no rule of law that is consistent in the United States. The distinction of a child who grew up here and married an American and one that was recently pushed across the border is of tremendous importance. To deport the former will deprive children of their parent. This is what Chancery was for at the beginning. Unfortunately, we no longer have a court of real chancery nor do we have a court of law. The federal Judiciary is a corrupt system incapable of honoring either the law or equity. In 1853, Bleak House was written by Charles Dickens, in which he describes how corrupt Chancery became during the 19th century. He concluded, “Suffer any wrong that can be done you rather than come here!” That was a sad statement of what had become of honor, dignity, and justice. We have reached that same point in American history where there is nothing left.